Chinese DJI Company, based in Shenzhen, introduced the DJI Mavic Pro EU, a drone that integrates functions of autonomy, easy driving and high-speed flight. It is capable of performing live transmission, following a target and advancing up to 64.8 kilometers per hour. This is not just a RC Hobbies/Tech it is a professional airplane modeling tool. The Mavic Pro includes the new “Flight Autonomy” system with which the aircraft can position, navigate and plan routes without user intervention, this new system allows the RC Quadcopterto fly alone in different environments and dodge obstacles at high speed. If the RC Quad copter loses contact with the controller or its battery is exhausted, it incorporates the possibility of returning autonomously to the area where it was launched. This function is achieved from the new “precision of landing” tools that give the possibility of taking a burst of videos with two cameras each time the drone is launched. The video and GPS information make the device return and land just a few inches from where it took off. The camera of the plane is 12 megapixels and records video in 4K, Taking aerial photography to another level of quality. In addition, its DJI Goggles lenses provide an 85-degree view, a wider range of view than other quad copters. 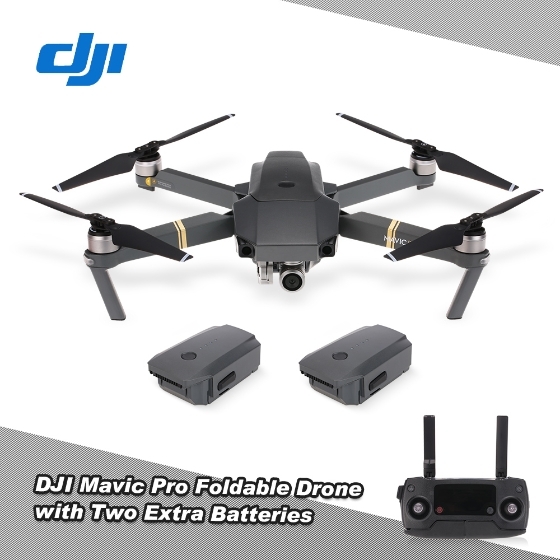 Another of DJI’s main achievements in the market was to make the DJI Mavic Pro EU be adopted by those beginners who have never piloted a gadget like this one. The aircraft cancapture the user’s gestures and be controlled from them. This toy integrates Ocu Sync, a new communication technology that supports an operating range of more than 7 kilometers. On the other hand, its light and aerodynamic body provides a range of flight speeds greater than 64.8 kilometers per hour through its Sport Mode. The device has a flight time of 27 minutes, a very long time compared to others that do not fly more than 10 minutes. The DJI Mavic Pro EU gadget can be controlled from the user’s Smartphone and provide addition feature of aerial photography. The Active Track upgrade empowers the device to recognize objects and people with what it is able to follow behind or forward, as well as fly around the target keeping the camera focused and allowing the user to focus on the maneuvers and not on the object. In its package includes two batteries, extra propellers and a charging center for the battery, as well as an adapter and a backpack.So take advantage of its recent market launch!